Designed with a rustic aesthetic in three strong earth colors, the ContinentDP collection offers a change from the contemporary Florida Tile line. The palette is full of strong graphics and tones that work together to create a natural variation and is complimented by a strong texture. The surface of the tile is reminiscent of a slate with long linear clefting that lends both a realistic look to the surface, but creates a soft touch. 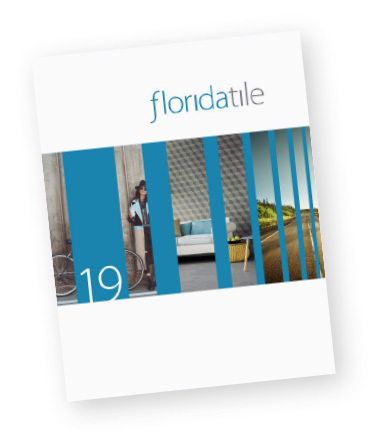 This line of floor and wall tile also includes an M12 mosaic and full bullnose package. With the exception of select trim and decorative pieces, this product line is Made in the USA of 40% pre-consumer recycled content, is GREENGUARD® and Porcelain Tile Certified, and meets the DCOF AcuTest® requirements to be installed in wet areas. This type of tile is perfect for kitchens, bathrooms, the basement or any area that is could be damp.